Oh the humanity! Thousands without my powerOne calculator a week after the storm! I monitor instances of “powerOne” all over the web with some tools that Google provides. It is neat to see what people are saying and who else is using the term “powerOne.” Sometimes, though, it will catch two words that are close in proximity and Google will show that post to me. 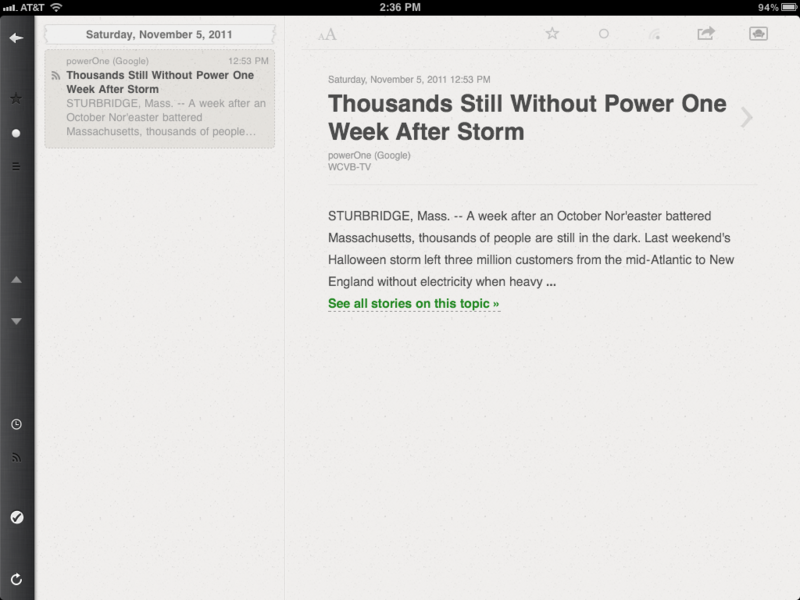 In early November the above post was waiting for me one morning when I opened my Google Reader app on my iPad (an app called Reeder).